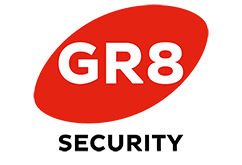 Your employment at GR8 Security Limited gives you access to privilege confidential information relating to the company’s operating systems and customers’ security arrangements. It is a condition of your employment/contract that you maintain a level of strict confidentiality regarding all information contained within the company, and at no time, either as an employee or past employee, shall you divulge any such information to any person in a manner likely to cause distress to the company, its staff or customers. This also applies in its strictest sense to any person involved in security screening or as a screening controller. Any such breach of confidentiality will result in legal proceedings being taken against the person concerned and will result in immediate dismissal. I have read and understood the above Declaration of Confidentiality and undertake to maintain the total confidentiality of the company information at all times.